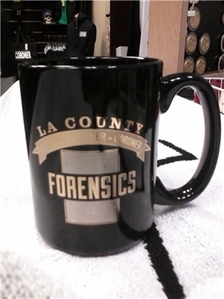 If you're looking for some holiday gifts in bad taste then look no further and look away in fear of Skeletons in the Closet, that also goes by the name LA County Coroner's Gift Shop. 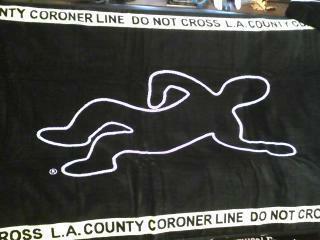 This messed-up idea that we truly love here at TTDILA is a gift store for our LA services dealing with the dead. 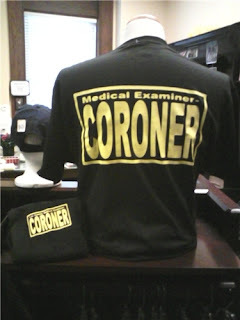 And if you've read the LA Times or recent stories about our Coroner's Office, they need all the extra income they can get; Santa's not going to want to go down that poor crematorium chimney, we're not sure if they really have one. 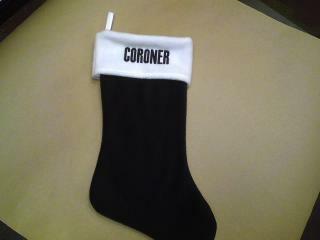 What they do have there is dead bodies...and novelty gifts with a chalk outlines and Coroner written on them. For a collection of gifts that we'll make people turn their heads in the office, at school or even at the beach, you'll have to check out the wide selection of items that shouldn't be associated with death. Tweak, not just the name of a character on South Park...sorry, that was such a bad joke, but we liked it. 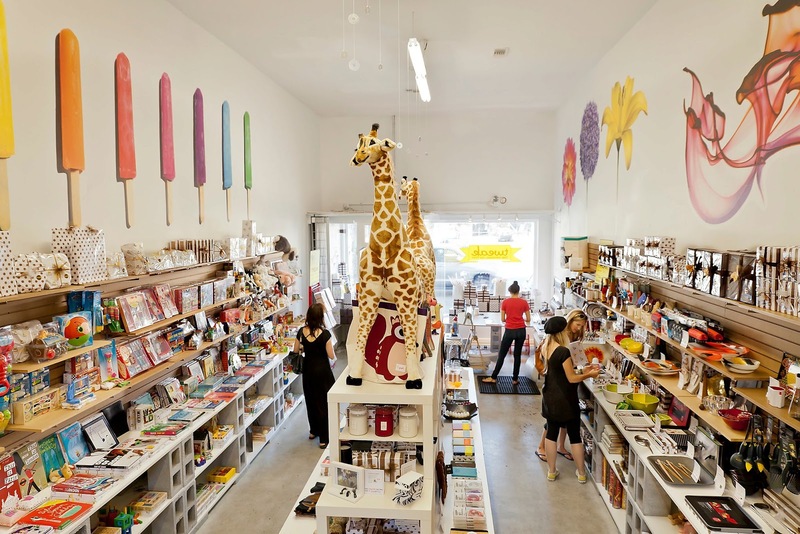 Tweak is essentially the best gift shop in LA. It has something for everyone. For the fan of comics and video games to that Grandma or Grandpa in your life. Something for children to a friend you haven't seen in years. It's all here and it's all the great stuff you've heard of in magazines or articles online. 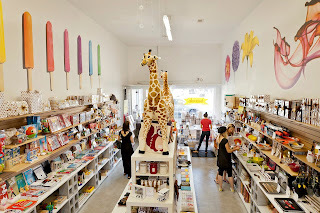 I don't know how the owner does it, but she surprises us with how much she's both able to find for so many people and to fit it it into her store. They do crazy good wrapping paper service for you too.